The three islands lying off Bali’s South East coast are home to gorgeous corals and prolific marine life. 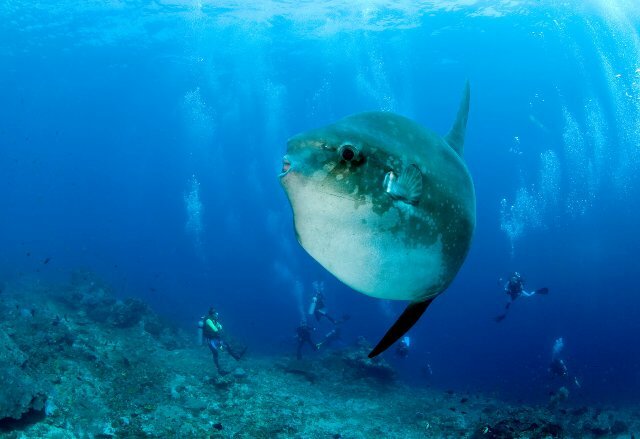 The main attraction, apart from the sweeping coral reefs, is the Mola Mola or Oceanic Sunfish and the Manta rays. 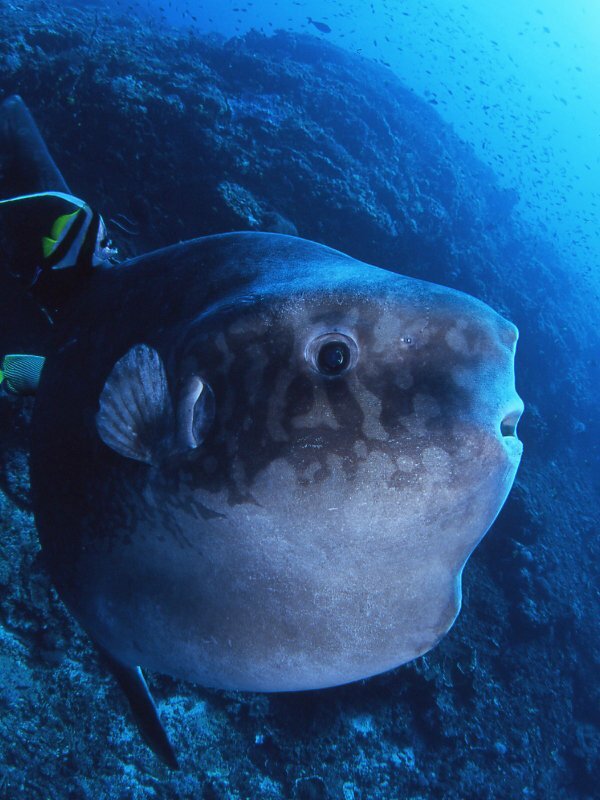 The Mola Mola, or Oceanic Sunfish, host their seasonal migrations to these islands. The best time of the year to see these huge creatures is between July and October although they can be seen occasionally outside these times. Our guides are well rehearsed in locating these creatures that tend to congregate around a few sites, namely Blue Corner, Crystal Bay and Toyapakeh along with a few others. 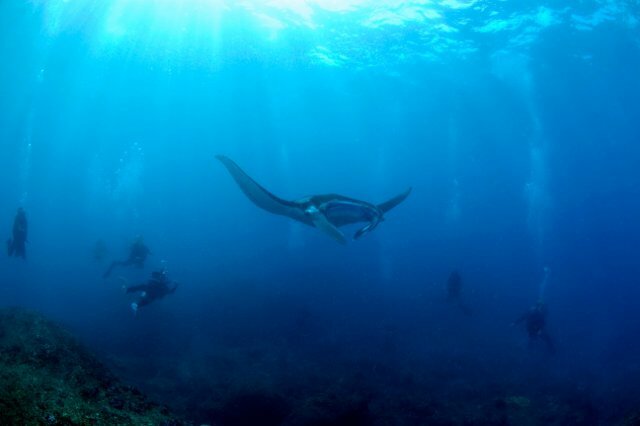 The Manta rays can be seen all year round at Manta point but it relies heavily on conditions. The majority of diving at Nusa Penida is drift-diving and the currents are not always predictable. The majority of sites are for experienced divers although there are a number of beautiful sites for all level of divers. During the Sunfish (Mola Mola) season we ensure that all divers ability levels are screened to ensure that the divers are suitable for the dive site conditions. One of Penida’s most popular sites. A beautiful boat ride along the coast line of Nusa Penida brings you to Manta Point. Manta sightings here are very common with some very large animals being seen. This site is very open to the elements so sometimes it is not possible to dive this site. Make the most of it when the conditions are good! During the Sunfish (Mola Mola) Season when we dive this site it will be as the first dive of the day. Afterwards, we will then move onto the other sites such as Crystal Bay. 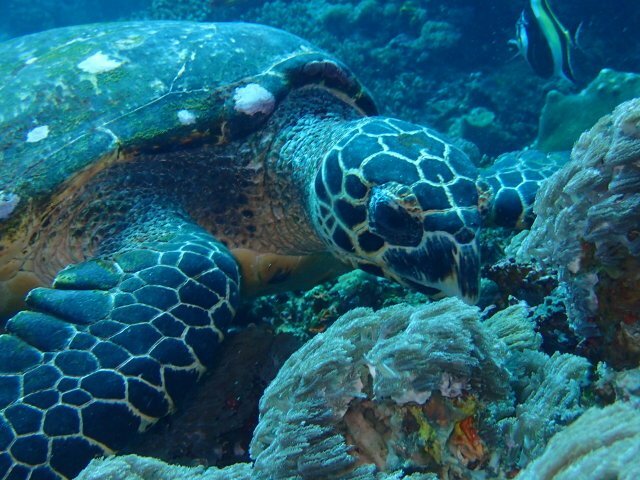 SD is a beautiful dive site with large coral heads and a huge variety of marine life. The normally gentle currents here wind you past Turtles, Manta Rays, Sea Snakes, Octopus, White Tip Reef Sharks and some of the most diverse collections of corals and sponges in Bali. During the Sunfish (Mola Mola) season it is also possible to get some good sightings here as the Sunfish drift along the reefs. Ready to go diving around Nusa Penida? Get in touch with us today! Crystal Bay is aptly named due to its fantastic visibility. This site consists of a fantastic little bay in shallow water that offers excellent opportunities for photos, before sliding down into deep drop offs. Superb coral is only matched by the equally superb marine life. This is another excellent place to locate the Mola Mola. Divers will descend in bay before rounding the corner to the deeper depths. Here, just a few metres from the corner, is the best place to consistenly find the Sunfish in large numbers. Toyapakeh has to be the best of all Nusa Penida’s dive sites. Actually the site breaks into two with Toyapakeh wall and Toyapakeh. Both these sites are encrusted with corals and fish. The intensity of the fish life is something to be witnessed. Large pelagics are often seen here just lurking in the blue. There are two cleaning stations for Mola Mola in this immediate region. 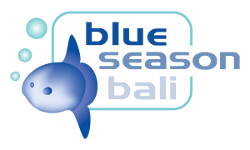 Although a fantastic dive site, it is also one of the most unpredictable sites in Bali. A must dive site for anyone diving the Nusa Penida region. What's next? 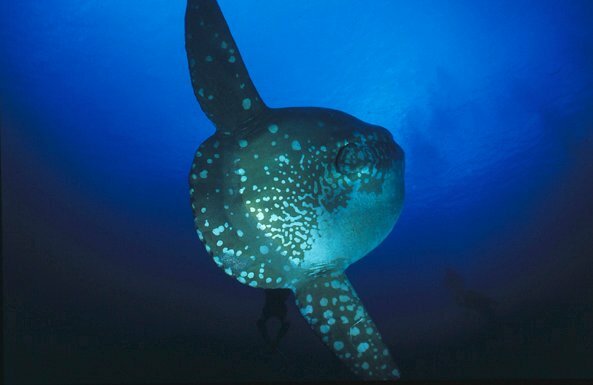 Check out the great Mola Mola diving packages we offer!